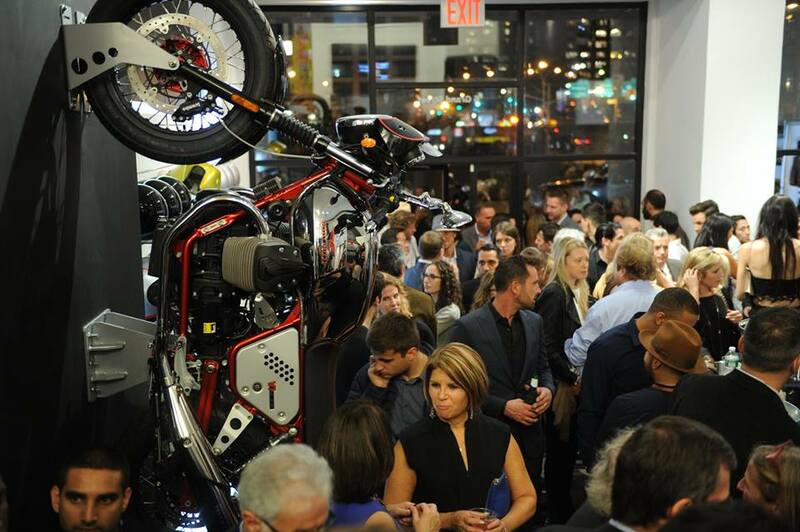 Last month, the latest Vespa 946 took center stage at the grand opening of a new Piaggio Group flagship concept store in the United States. Vespa Manhattan is the latest of Piaggio’s multi-brand Motoplex stores that have opened in Italy, India, France, China, and Singapore. The more than 2,000 square foot showroom will feature 25 different models from the Vespa, Piaggio, Aprilia, and Moto Guzzi brands. The Vespa Manhattan name doesn’t really convey the space’s status as a flagship store, but it does provide continuity with the rest of the Vespa dealerships in the USA. 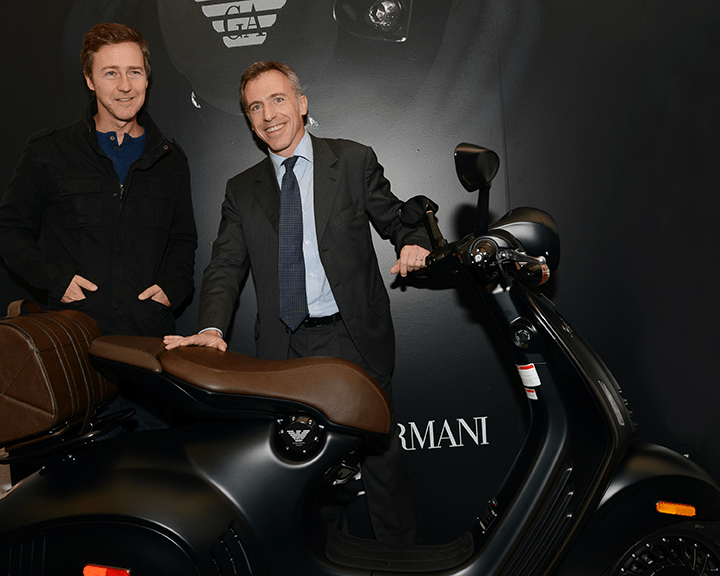 The jewel of Vespa Manhattan’s unveiling was the new Vespa 946 Emporio Armani. This highly stylized scooter is Vespa’s most recent attempt to link its upscale scooters to high fashion. Previously, the 946 has made appearances at Bulgari stores and Vogue Italia events. Earlier special editions of the GTV and LXV also bore the names of streets in the fashion district of Milan. The 946 Emporio Armani, however, has a direct connection to the fashion world. Combined with the 130th anniversary of Piaggio and the 40th anniversary of the Armani fashion house, Vespa has blended style, fashion, and heritage with this dark, evocative scooter at the center. This third iteration of the 946 retains the 155cc engine and tech features of earlier models, including LED lights, ABS brakes, and smartphone connectivity. Other than the Emporio Armani name and associated badges, the other change for this year is a new matte black finish with the tiniest hint of green. Gone is the yearly collection moniker, which is a welcome change since the yearly 946 collection didn’t get to dealer floors in North America until the fourth quarter of the year anyway. 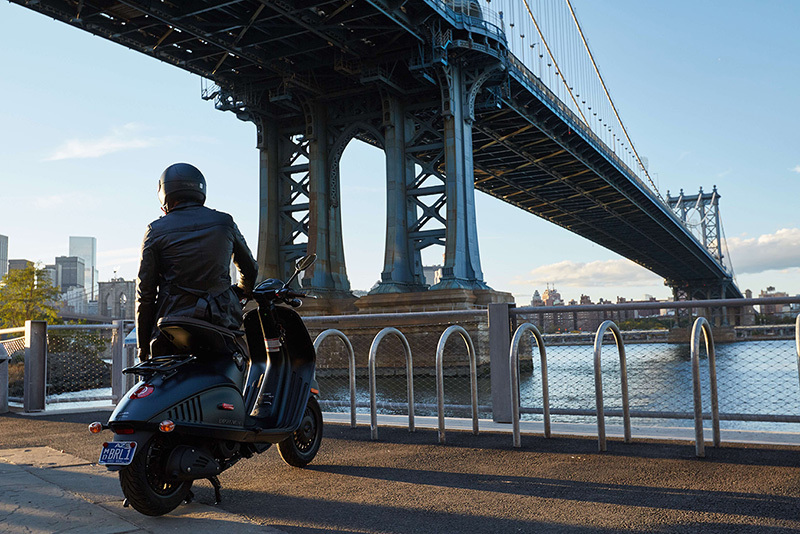 The Vespa 946 Emporio Armani will be available at dealers in Dallas, Chicago, Los Angeles, Miami, San Francisco, and New York with a price tag of $10,999 USD. William Lincoln is a Vespa fanatic, former engineer, and current stay-at-home dad. Times are changing for Vespa. The iconic scooter brand is undergoing its first real generational evolution since the LX and GT models first hit the streets. Yet these changes aren’t simply mild updates, they’re completely new models inspired by Vespa’s now infamous 946 halo model.